Okay, who made the NHL schedule? Right when the Habs get hot, we get a 2 day lay off? And after that lay off we have to face Marty and the Devils in his hometown? Doesn't sound like a good mix to me. You know what else isn't a good mix during this time? PK Subban and the Montreal media. Since there is no hockey in Montreal until Sunday evening the media have to dig up something to talk about. That isn't too hard when a superstar defenseman hasn't signed a contract three games into the season. The problem for PK is the tide is quickly turning from neutrality, to the fans being on the side of Marc Bergevin. When the Montreal media and fans are taking sides with the GM you know you have a bit of a problem to solve. Cowan of the Montreal Gazette posted last night that Subban's stock is falling with each Habs victory. Bob McKenzie of TSN basically thinks Subban is gone to another team, and Darren Dreger reported this morning that their is absolutely no progress being made. On the one side I understand the kid is young, and he has no right to be putting on this media circus. As I posted earlier last week the kid should be lucky and happy that he is playing in the national hockey league. Take a friggin deal! Yet, despite the wins he does have some leverage and it lies in team history. The Montreal Canadiens (in recent history) are a team with weak defence. Looking at a game report after a Habs game in the last few years would show you that this team has a problem on the back end. I don't have the stats to back this up, but I would say the Habs get outshot in 70% of games they play. Taking that weak back end into consideration this team may need PK down the road, despite the early back to back wins. It's no secret this team struggles in their own end of the ice. Subban, mind you, is also a high risk player who takes chances and sometimes can be caught out of position. However, despite some minor learning bumps, he's not all that bad. 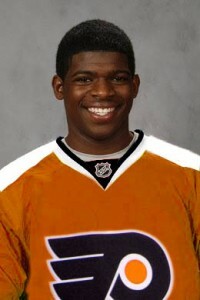 This team could probably use a guy like Subban on the back end, at least for now. If Bergevin can't get Subban into the lineup by next week at this time then look at the trading block, until then keep talking and try to work out something reasonable. 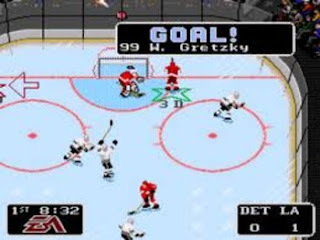 Oh, and happy birthday Mr. Gretzky!